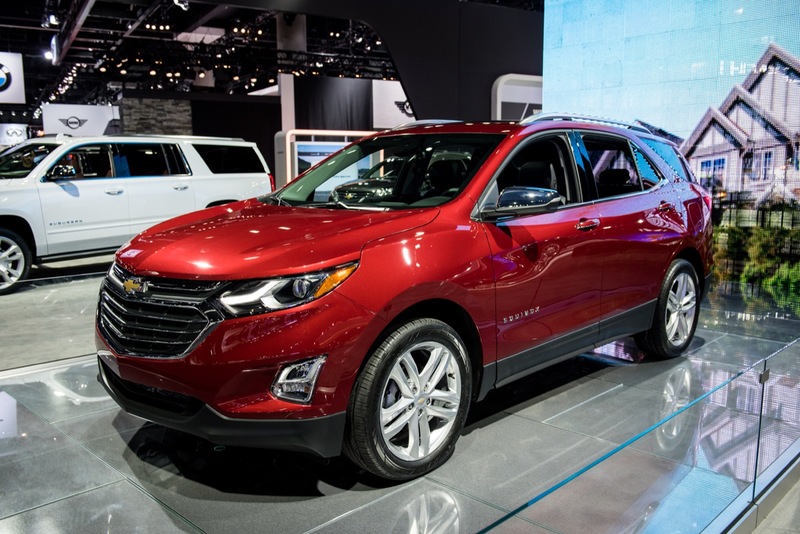 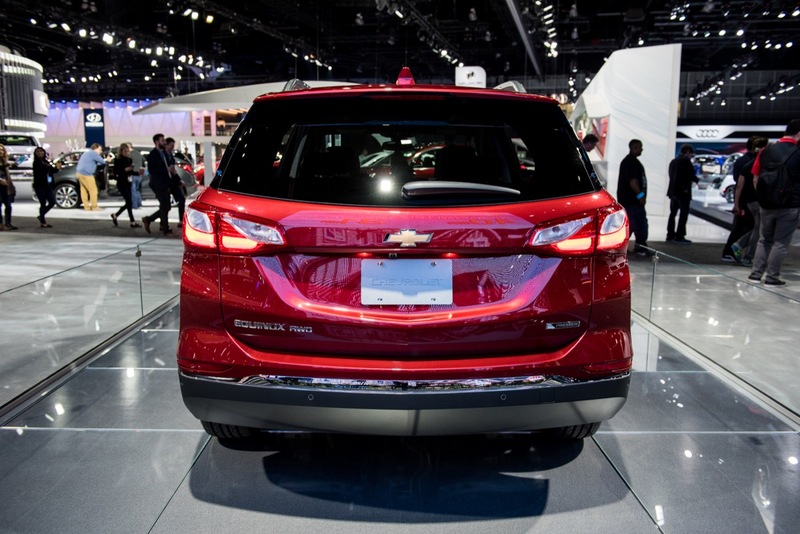 Chevrolet introduces a completely overhauled (redesigned and re-engineered) Equinox crossover for the 2018 model year, delivering an all-new vehicle that is more modern, fuel-efficient, and slightly smaller than the model it replaces. 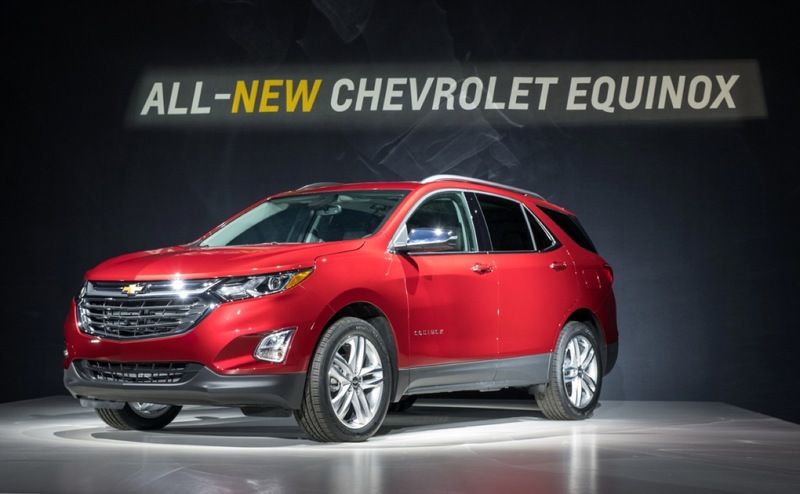 While its predecessor — the second-generation Equinox — was a “tweener” vehicle straddling the compact and midsize segments, the 2018 Equinox will be repositioned directly into the compact crossover segment. 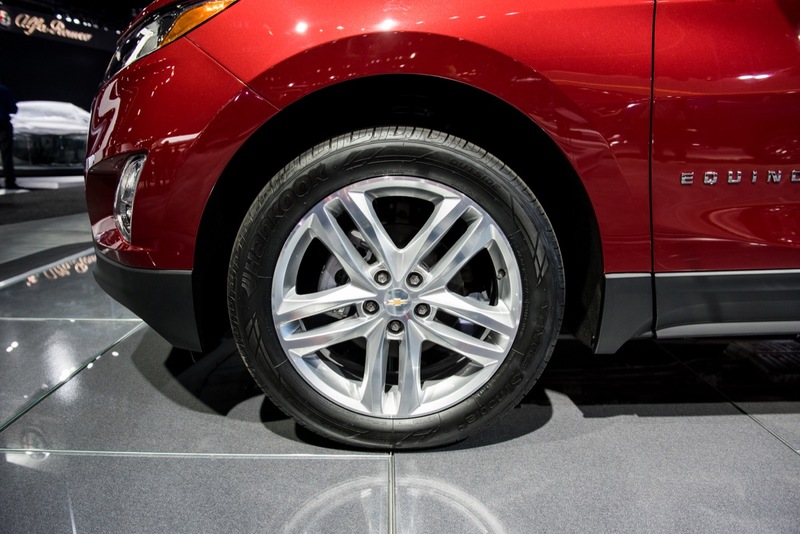 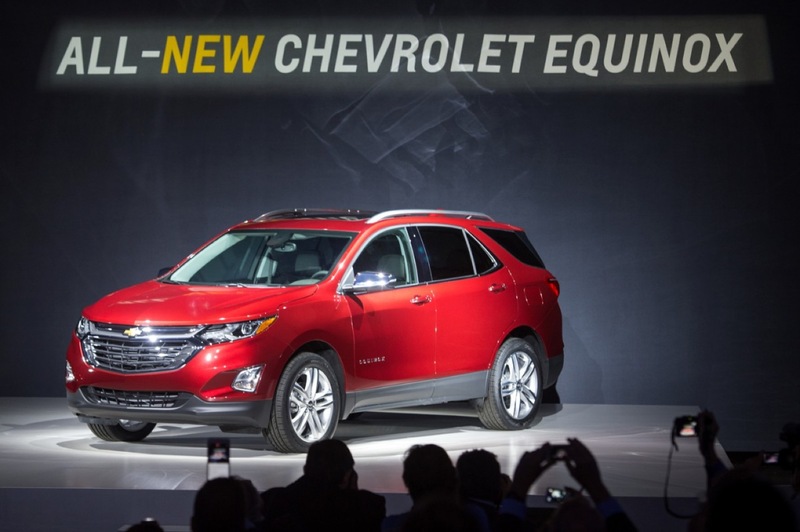 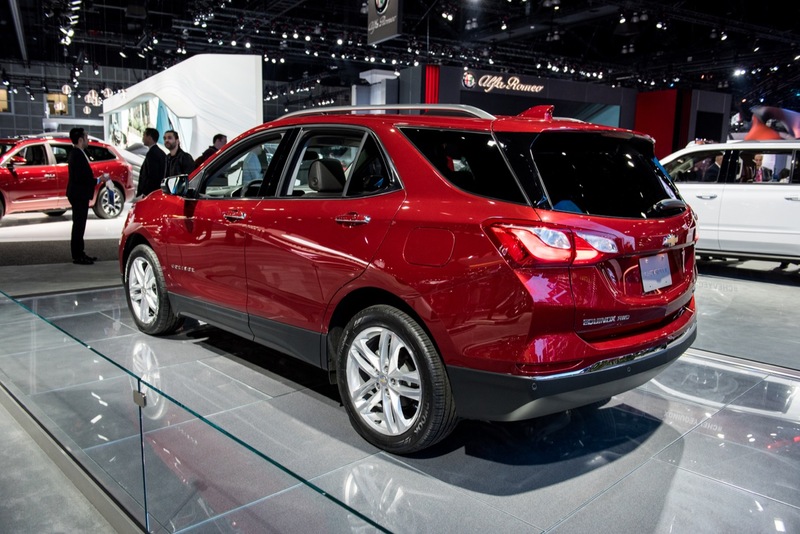 To note, we initially believed that the all-new, third-generation Chevrolet Equinox will be a 2017 model year vehicle. 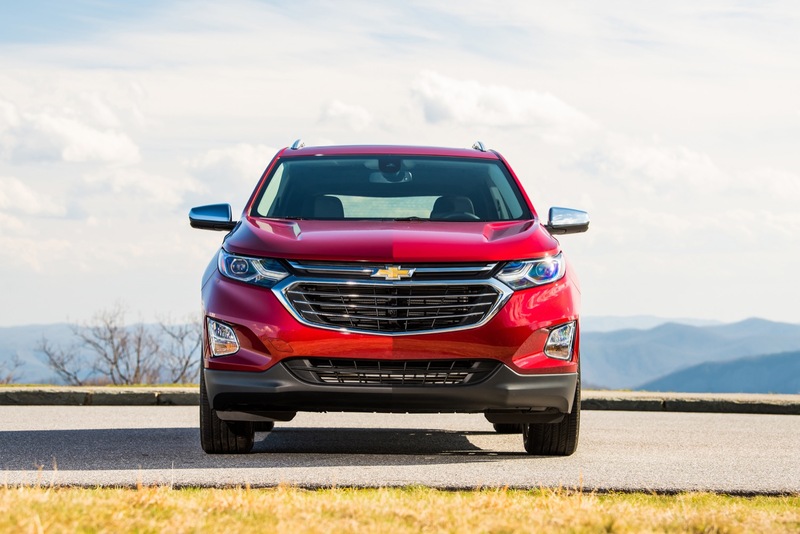 However, we now believe that the all-new Equinox will launch for the 2018 model year, with the 2017 Chevy Equinox receiving minor updates for its final model year in production. 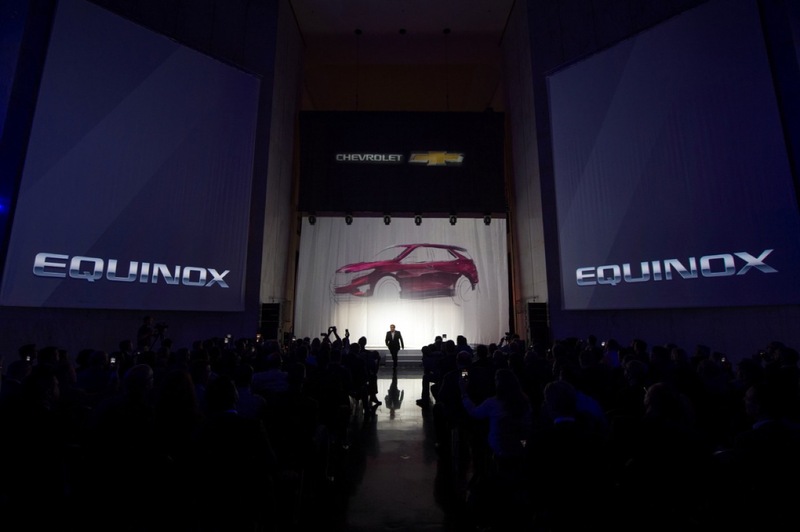 The exterior design of the third-generation Chevy Equinox will be all-new, while representing an evolution of Chevy’s global design language. 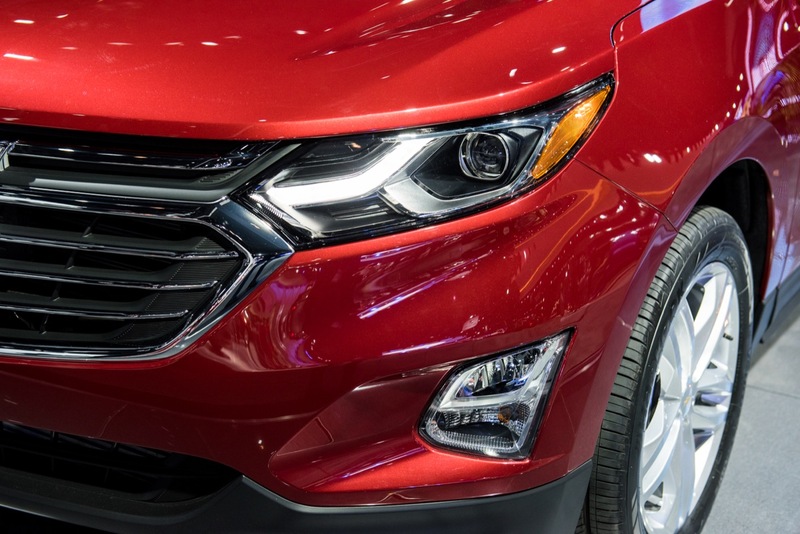 Stay tuned for more information on the exterior design of the 2018 Equinox. 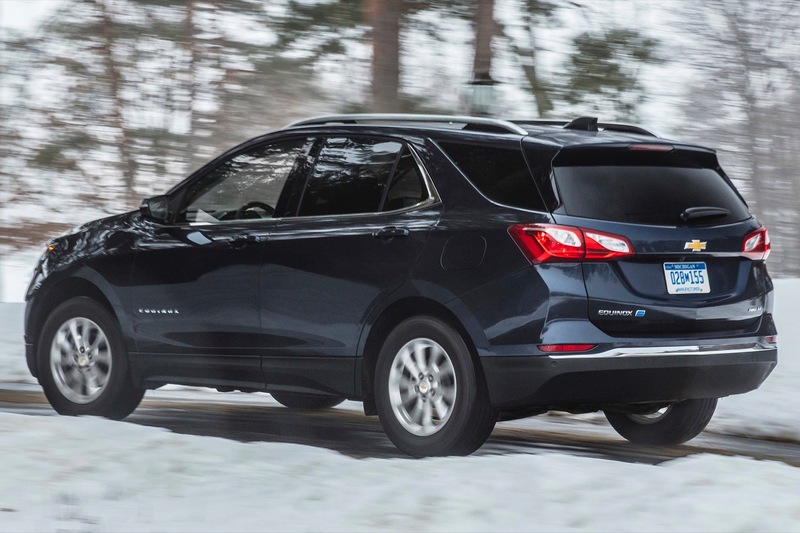 The 2018 Chevy Equinox is available as a four-door compact crossover (CUV/SUV). 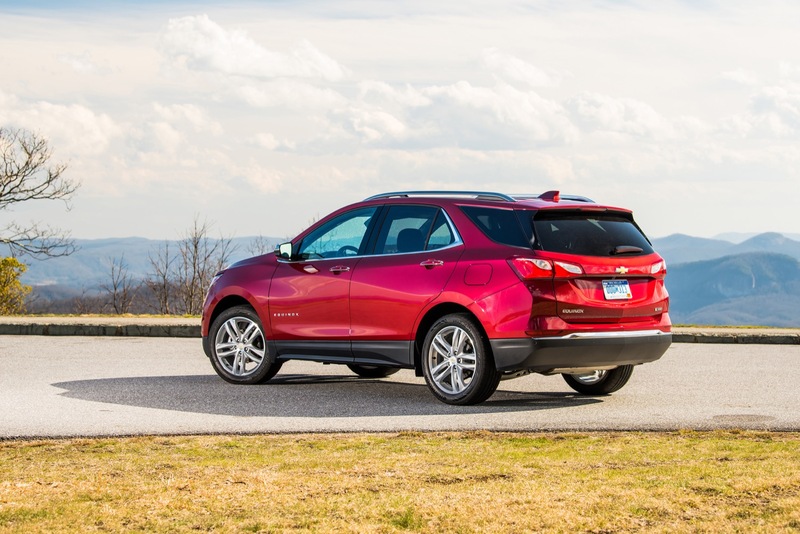 This section currently unavailable and will be updated when we get more information. 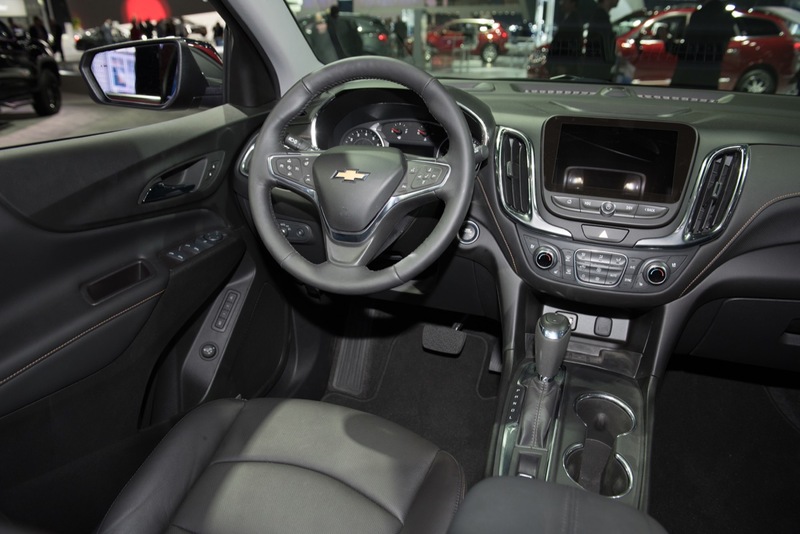 The cabin arranged featuring a “down-and-away” instrument panel coupled with a low windshield base for greater outward visibility. 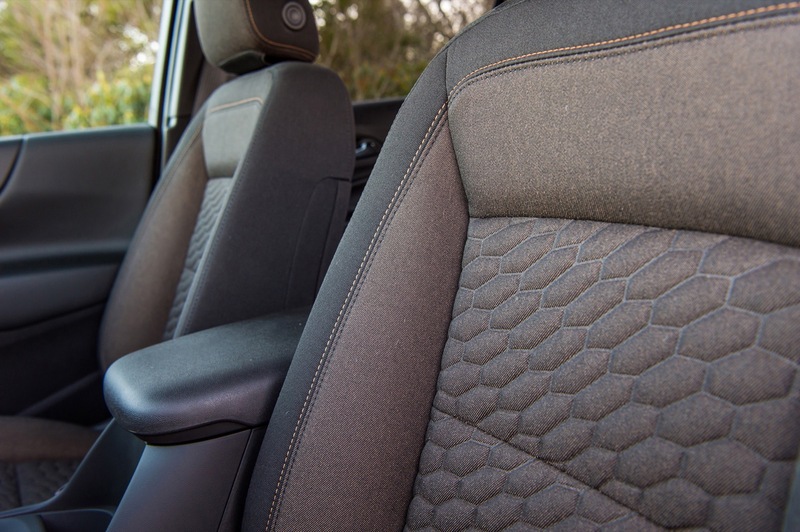 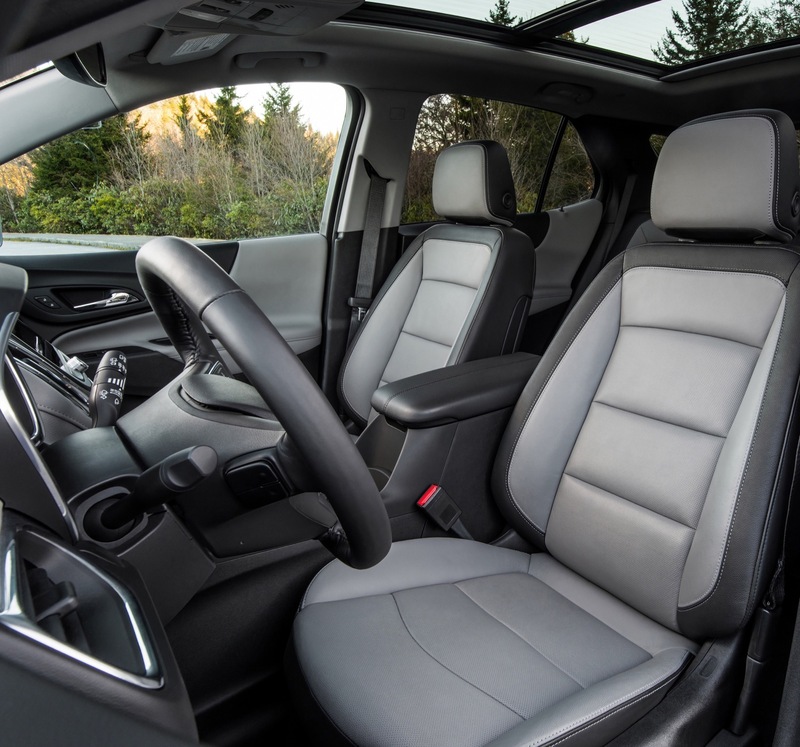 The vehicle also gets several nifty design cues such as available denim-style seat fabric, and a new “kneeling” rear seat, which allows the bottom seat cushions to tilt forward when folding the seatbacks. 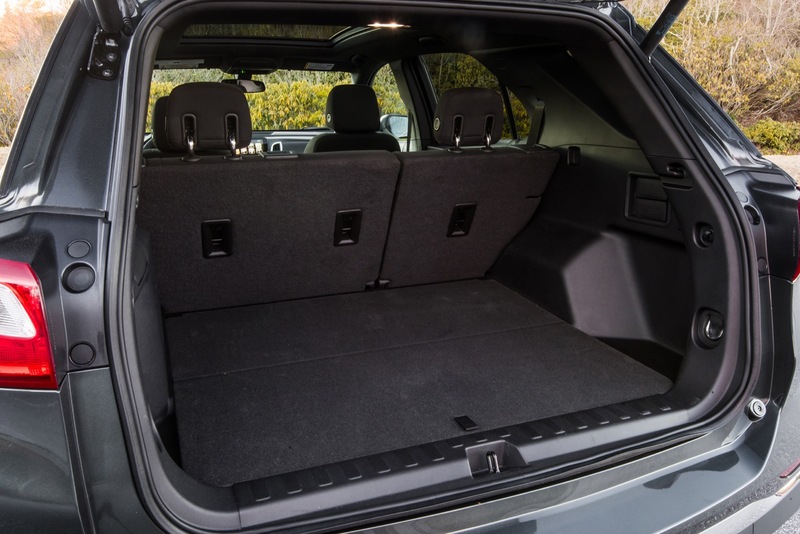 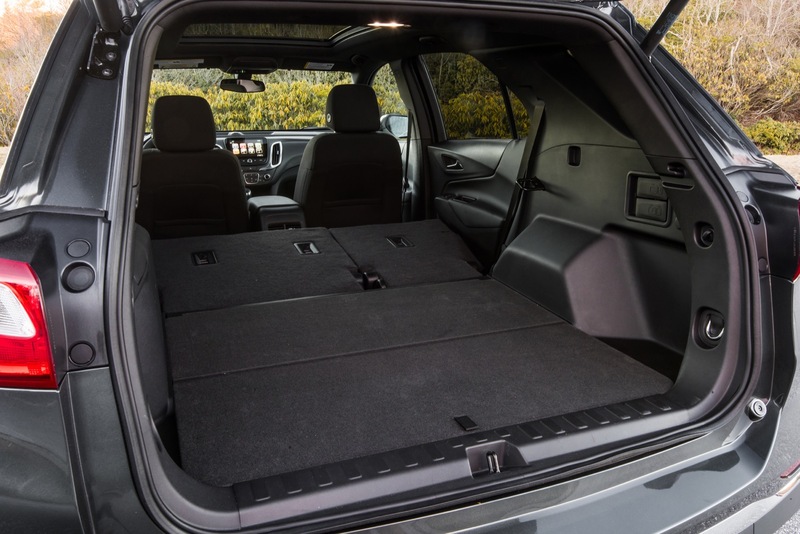 Cargo areas comes in at 63.5 cubic feet. 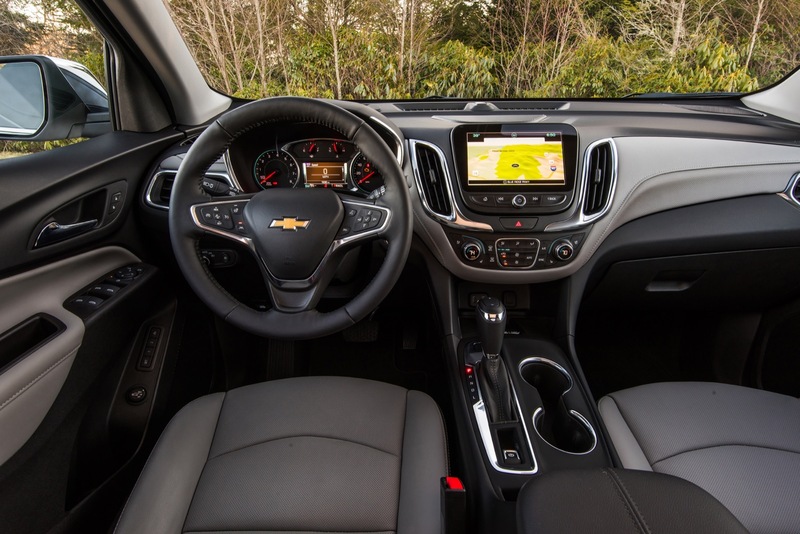 The 2018 Equinox will ride on GM’s new D2XX vehicle architecture, which succeeds and combines the Delta 2 platform and Theta platform. 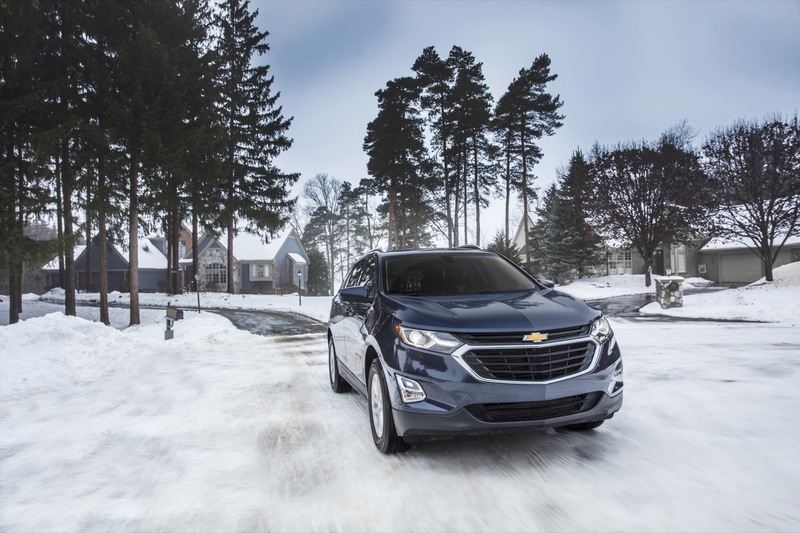 The 2018 Chevy Equinox offers three turbocharged engines, including the segment’s first turbo-diesel. 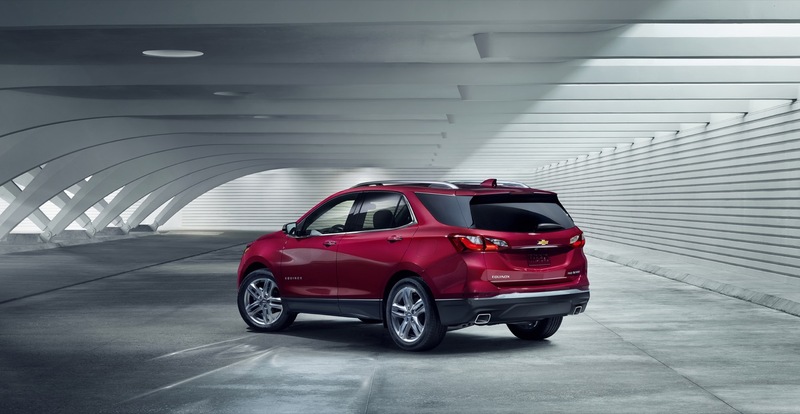 The lineup is intended to provide customers more choices when it comes to performance, efficiency and capability in the all-new 2018 Chevrolet Equinox. 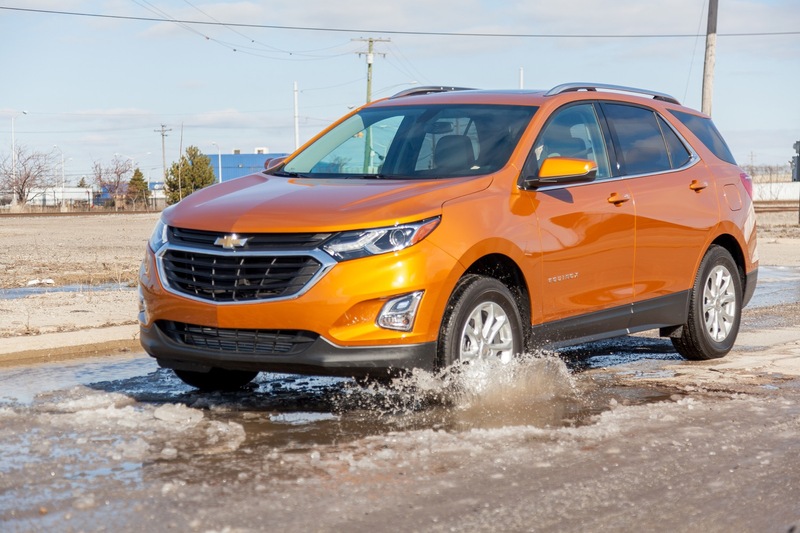 Part of GM’s new family of Ecotec small-displacement engines with direct injection, the 1.5L turbo LFV offers a GM-estimated 170 horsepower (127 kW) and 31 mpg highway (FWD configurations). 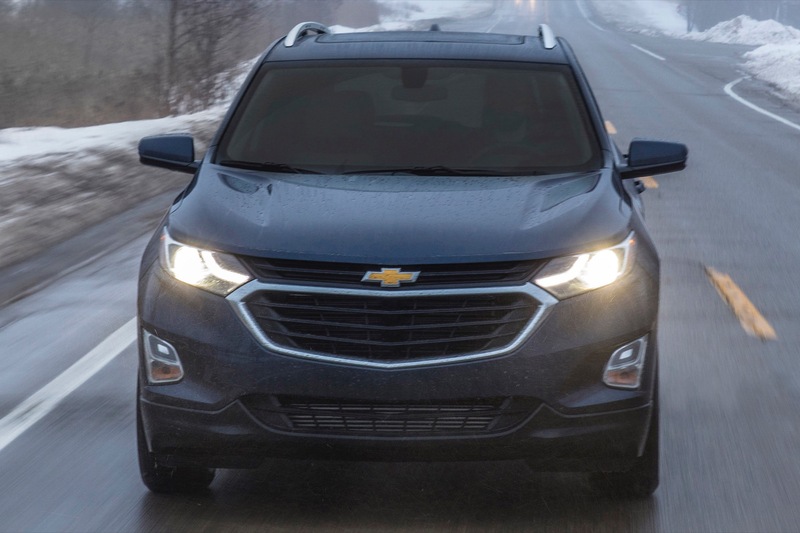 With a GM-estimated 252 horsepower (188 kW) and a wide torque band for strong pulling power and acceleration, the available 2.0L LTG turbo offers a higher degree of performance. 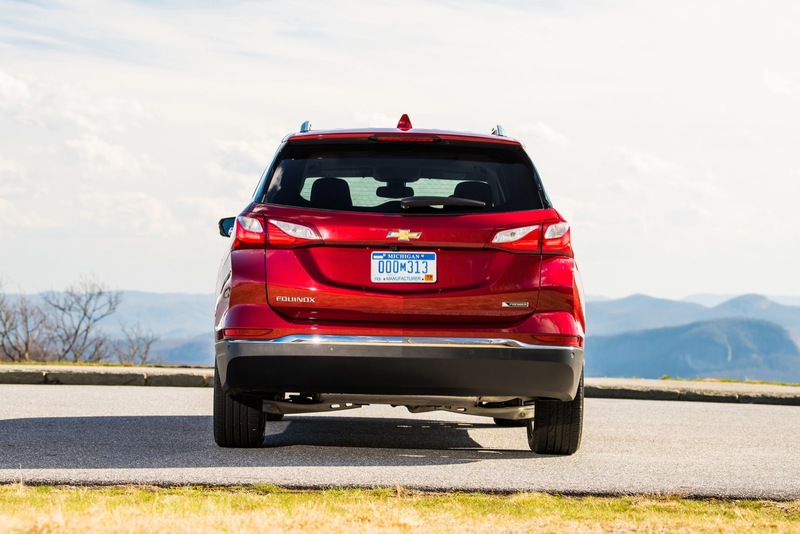 It also offers a GM-estimated 28 mpg on the highway (FWD). 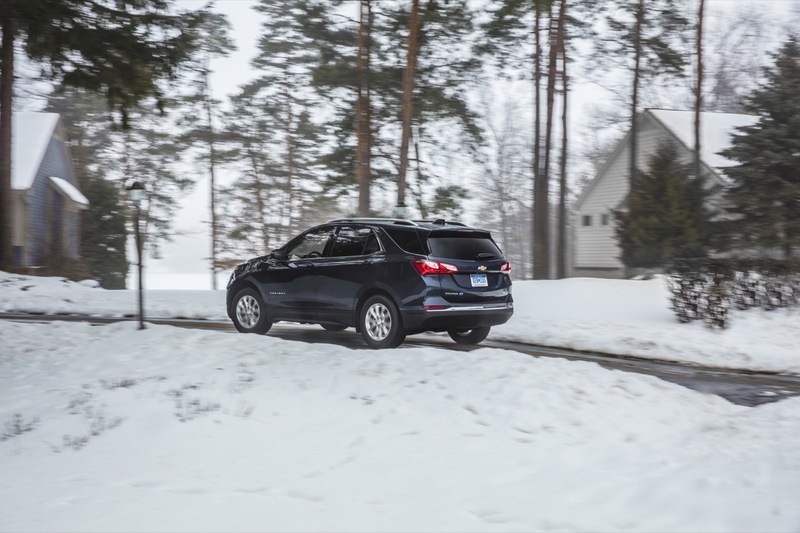 Ninety percent of the engine’s peak torque is available from 2,000 to 5,600 rpm, along with maximum torque from 2,500 to 4,500 rpm. 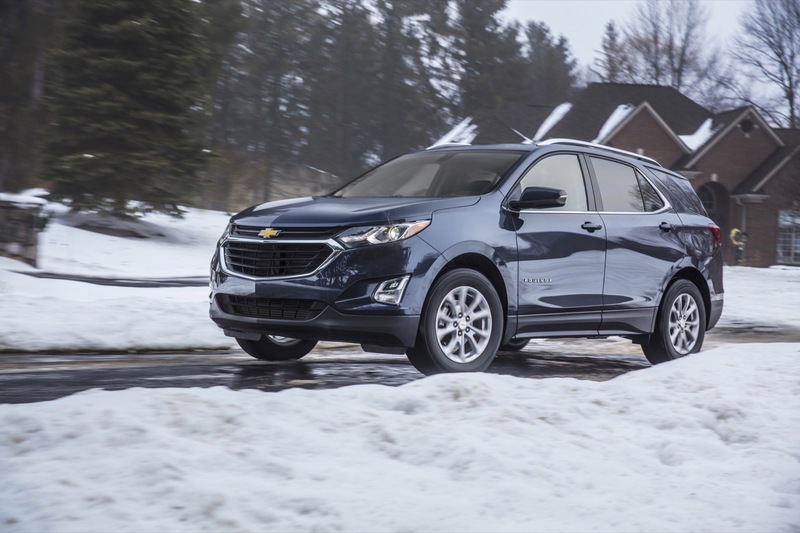 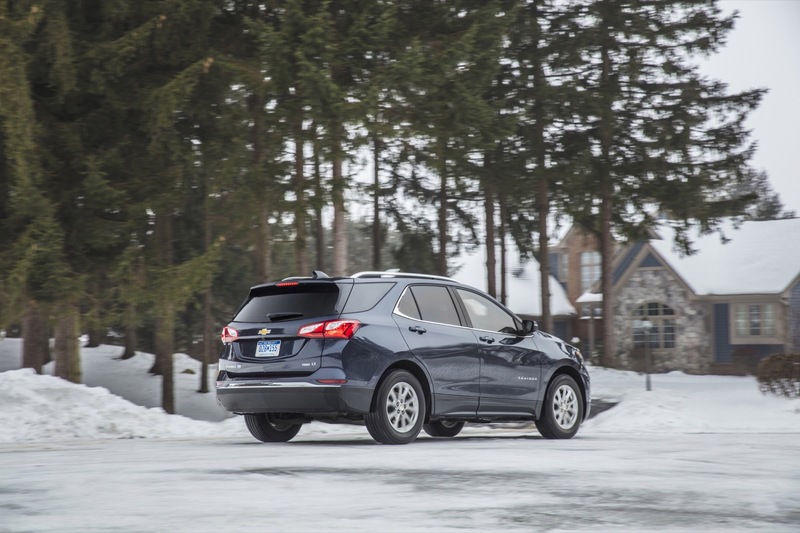 That strong, sustained torque production helps the new Equinox offer a 3,500-pound (1,585 kg) max trailering capacity that is equal to the current model’s capacity with the available V-6 engine. 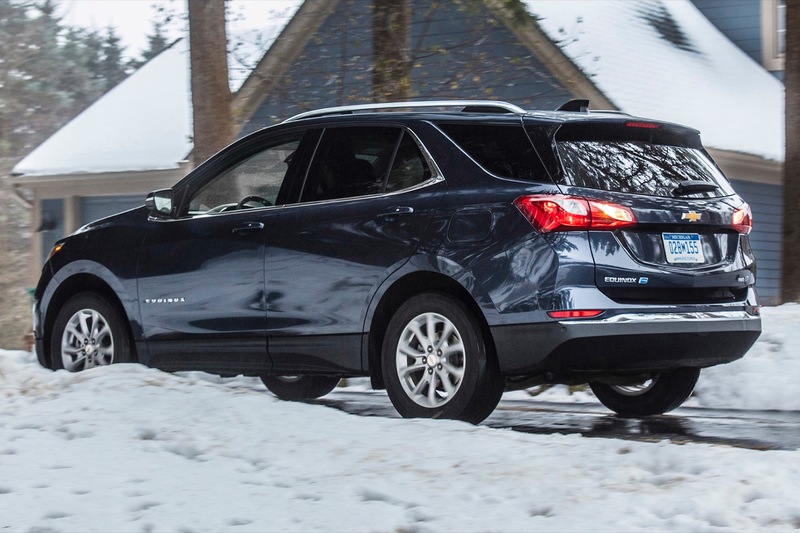 The 2018 Equinox is slated to be the only competitor in the North American compact SUV segment with a diesel choice for customers seeking the ultimate in fuel economy and SUV capability. 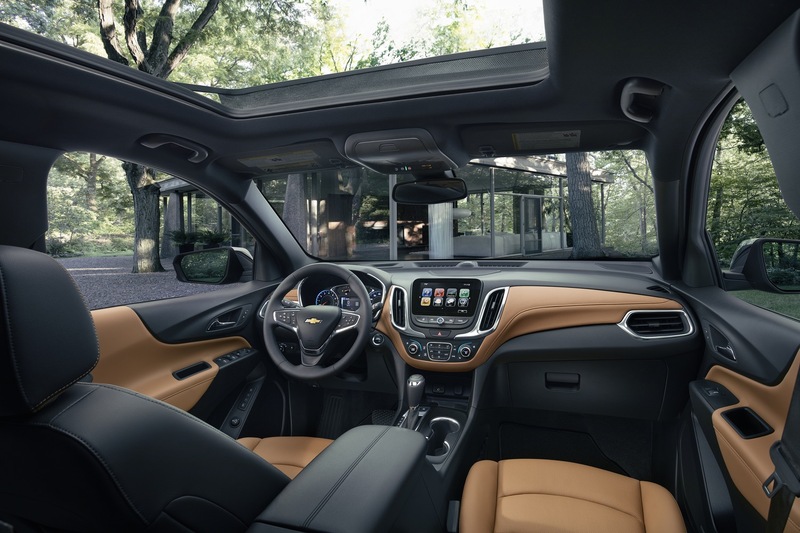 It is expected to offer a GM-estimated 40 mpg highway. 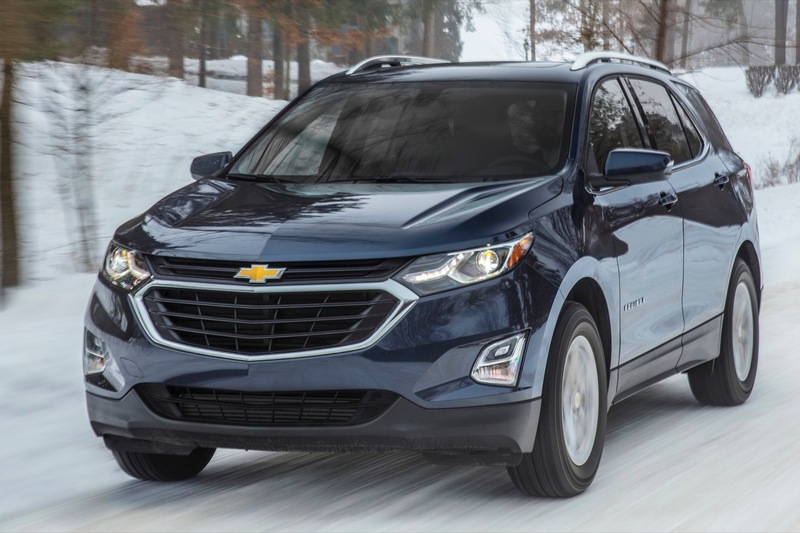 The 1.6L turbo-diesel is an all-new design, with output estimated at 136 horsepower (101 kW) at 3,500 to 4,000 rpm and 236 pound-feet of torque (320 Nm) at 2,000 rpm. 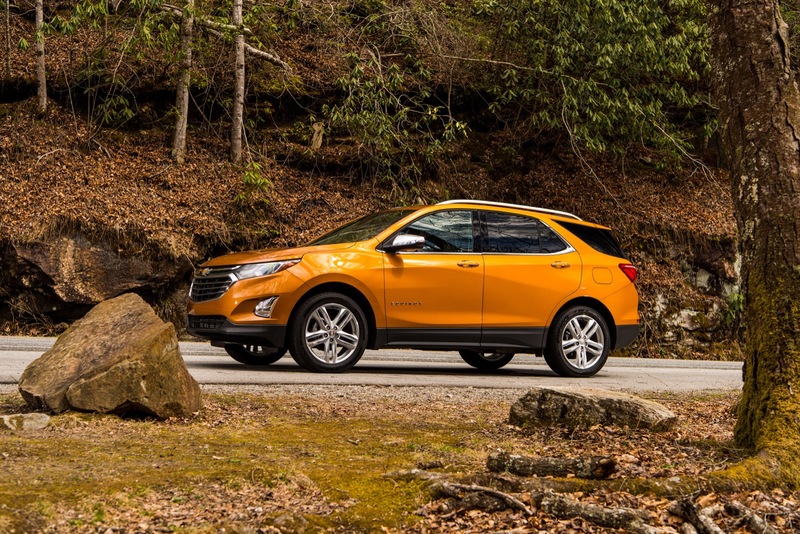 A variable-geometry turbocharger helps generate a broad torque band that makes the engine very responsive at low rpm. 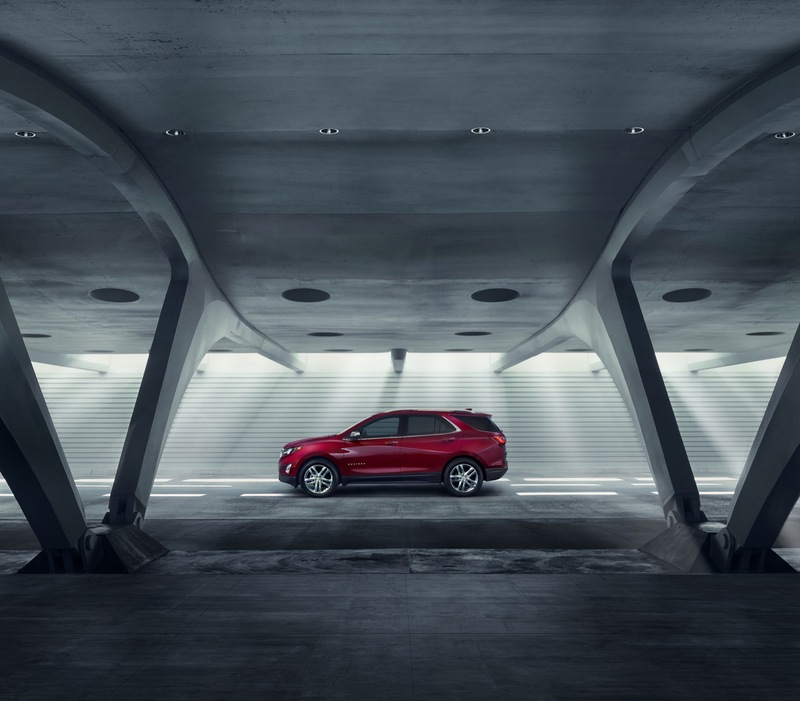 It also features stop/start technology and is one of the industry’s most refined diesels. 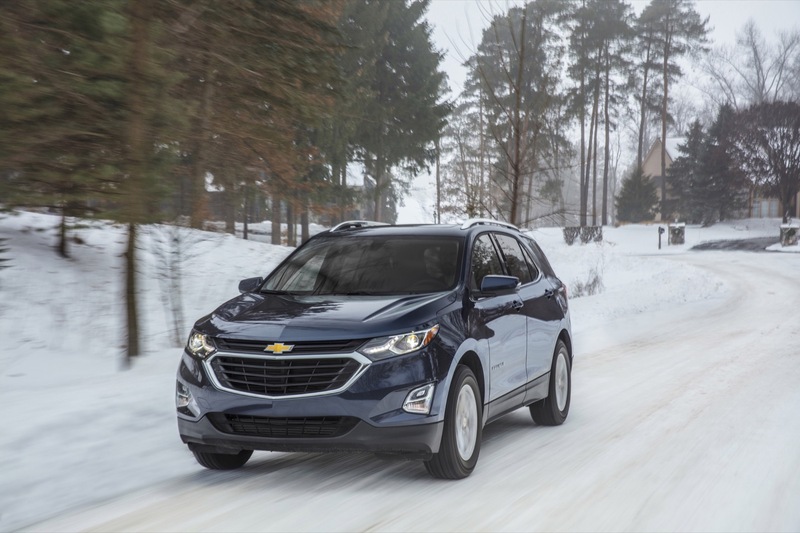 The all-new 9T50 nine-speed automatic transmission features a higher 7.6:1 overall ratio to enhance efficiency while smaller steps between the gears (compared to six-speed designs) enhance refinement. 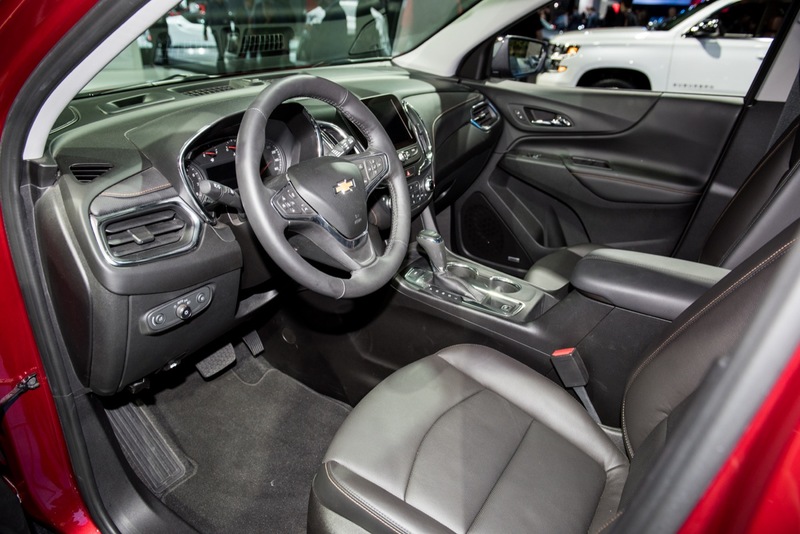 An on-axis design, where all the gears are in line with the crankshaft, and GM’s first application of a selectable one-way clutch help reduce the package size of the 9T50, making it roughly the same size as a six-speed transmission. 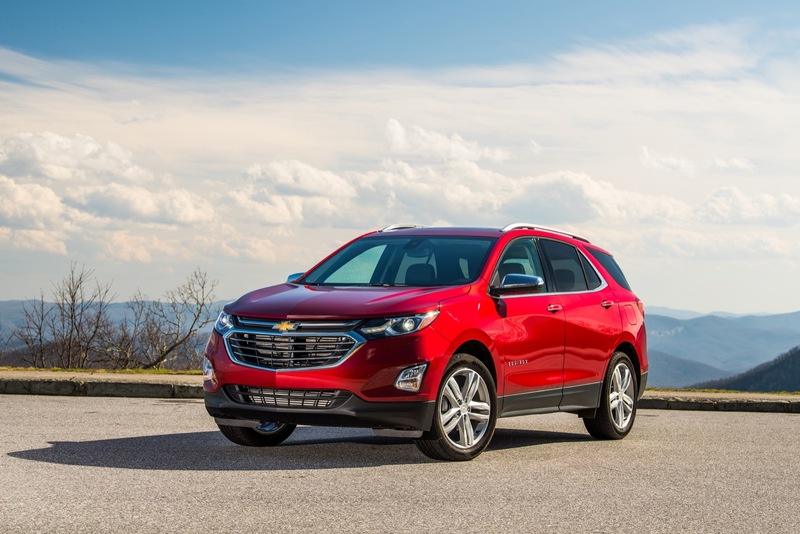 The 2018 Chevy Equinox rides on an all-new architecture known as the GM D2XX platform. 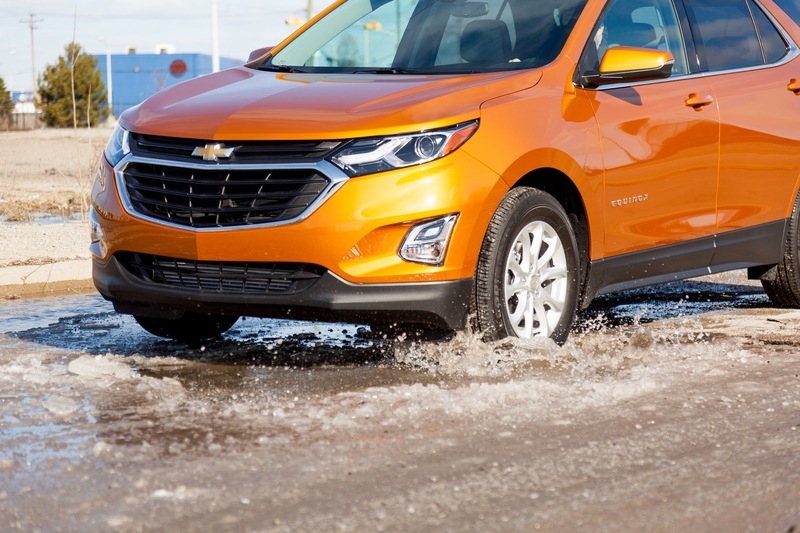 More rigid and lighter than before, it delivers great driving dynamism while also playing a significant role in enhanced safety and fuel efficiency. 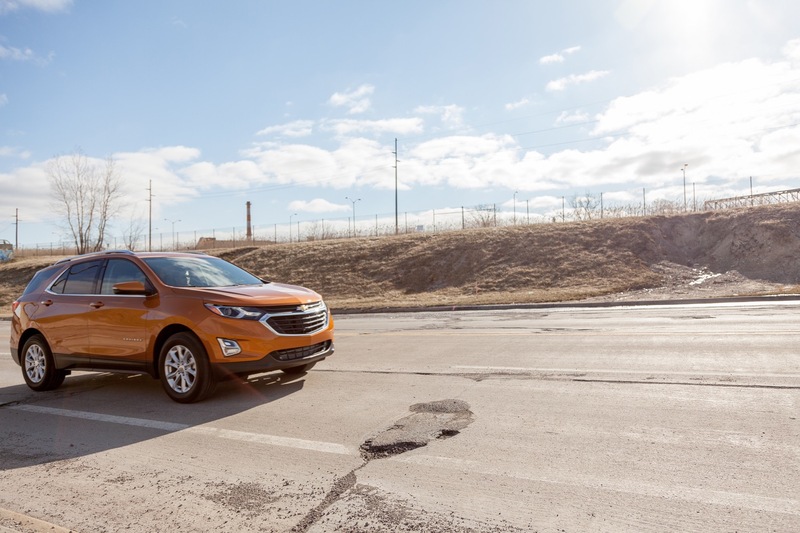 The vehicle offers a suite of active safety technologies and adaptive crash-avoidance features that help provide peace of mind on the road for adults as well as new teen drivers. 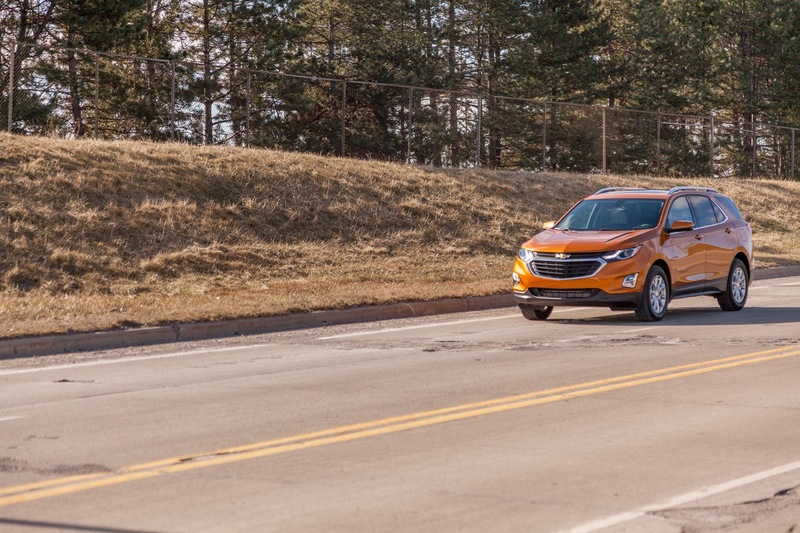 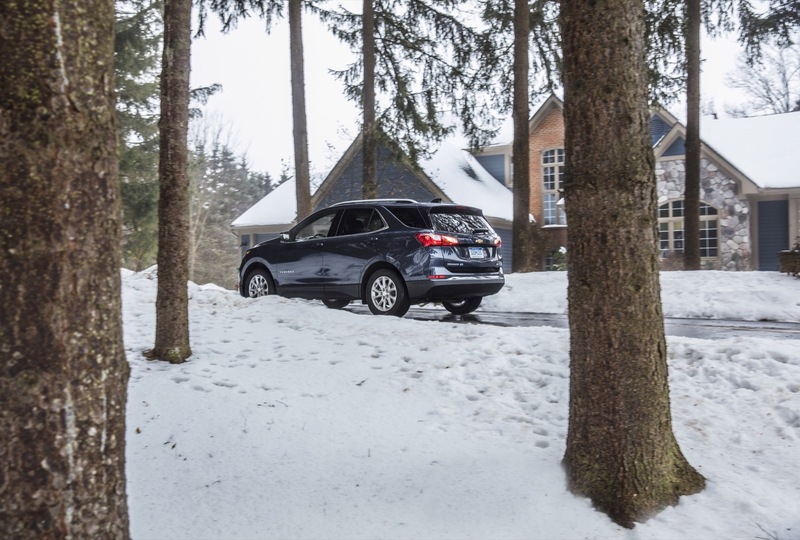 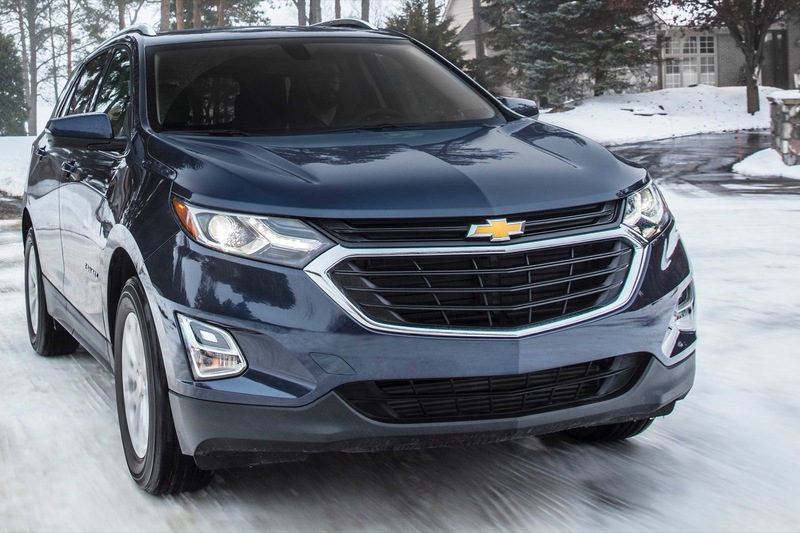 The expanded safety features provided by the all-new Equinox are rooted in a stronger body structure and a range of available advanced driver safety assistance features. 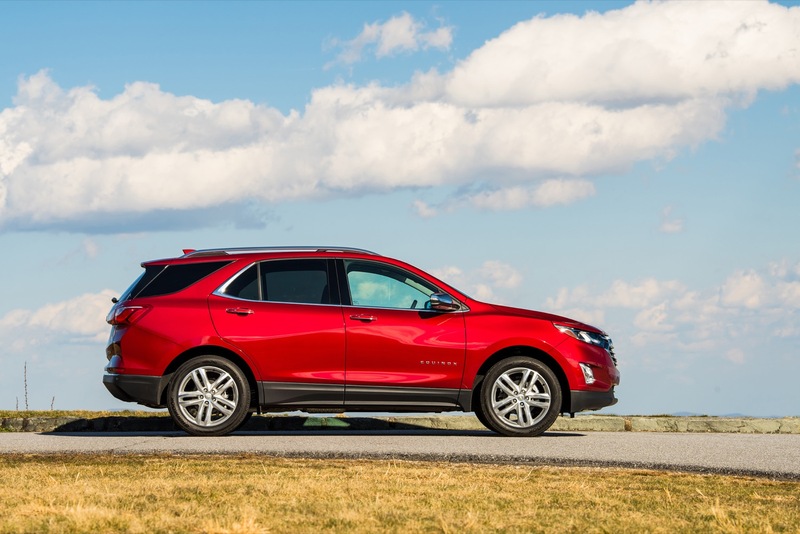 New for 2018 is Surround Vision, a technology that provides a literal look at the 2018 Equinox’s perimeter. 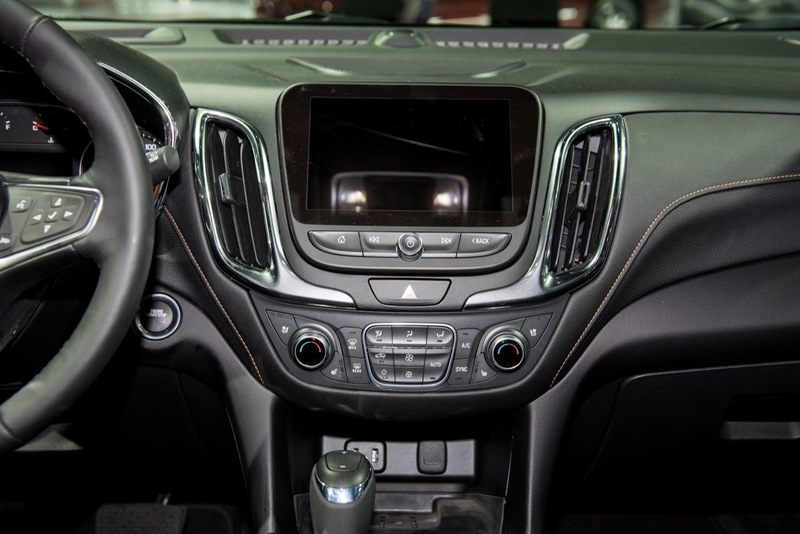 The available system uses strategically-located cameras on all sides of the vehicle to provide a 360-degree bird’s-eye view of the vehicle, helping drivers quickly view the surrounding area at a glance for more confident maneuvering when reversing, parking or trailering. 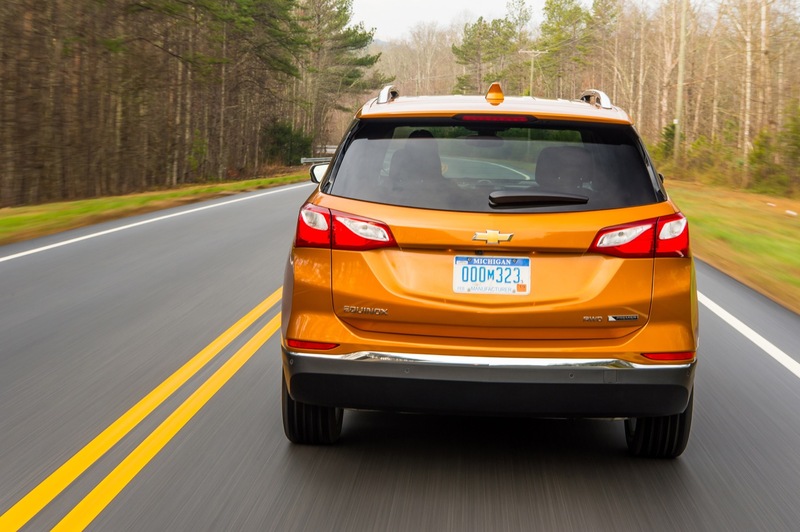 Equinox models without Surround Vision offer a standard rear-vision camera system. 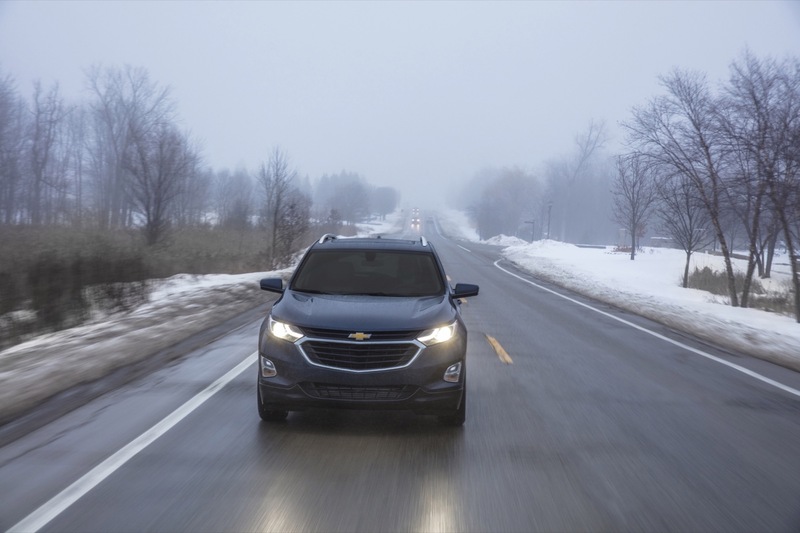 Also new are IntelliBeam headlamps, which offer automatic high-beam control. 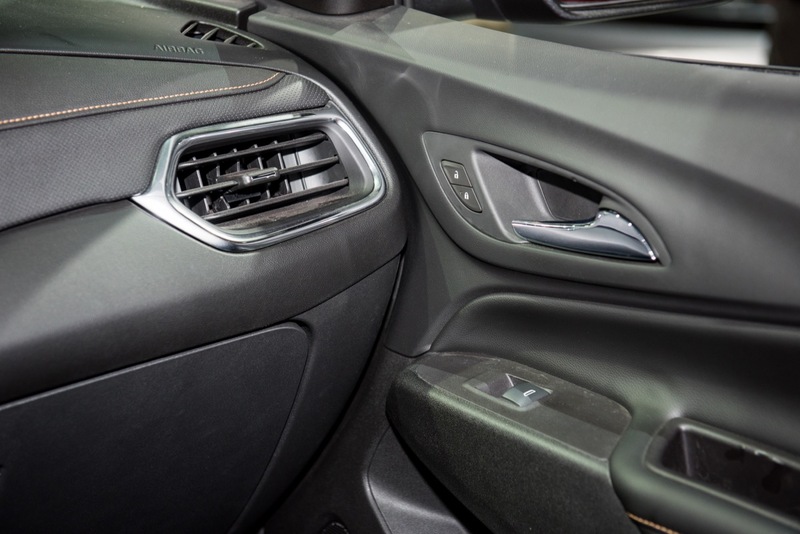 When it comes to traditional passive safety features, there are six standard air bags, including frontal driver and passenger air bags; roof rail-mounted head curtain side air bags that help protect the front and outboard rear seating positions; and front-seat-mounted side-impact air bags. 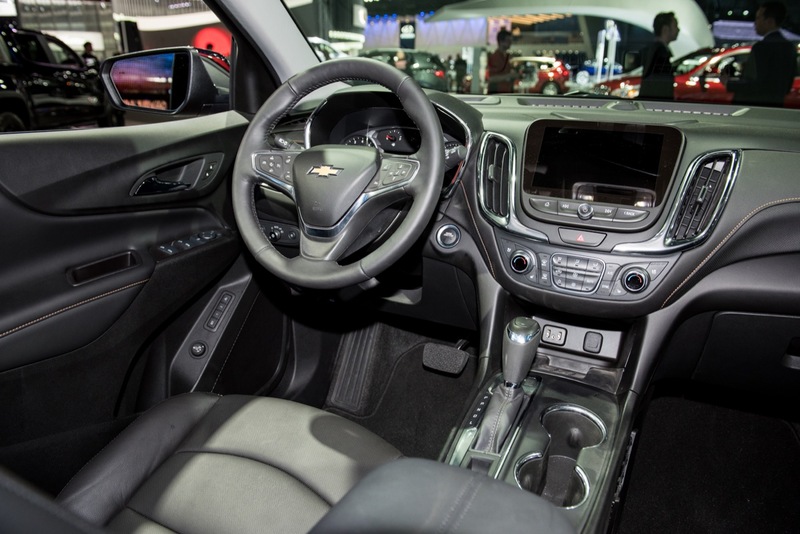 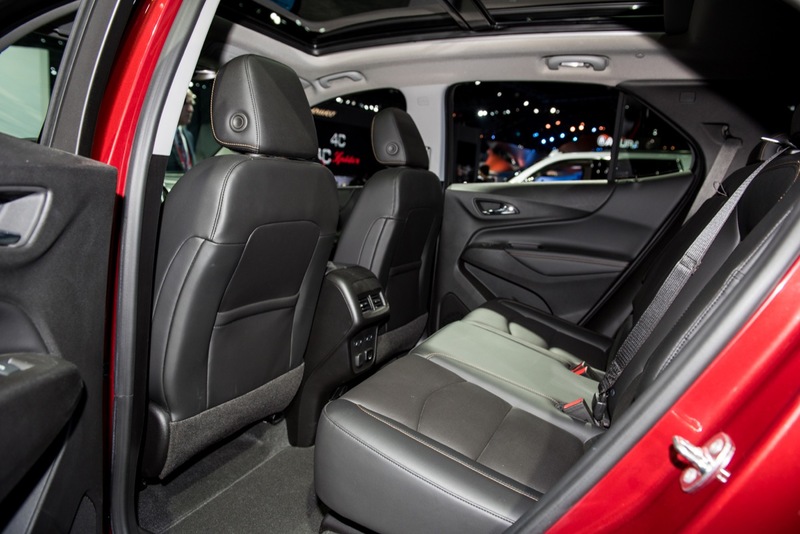 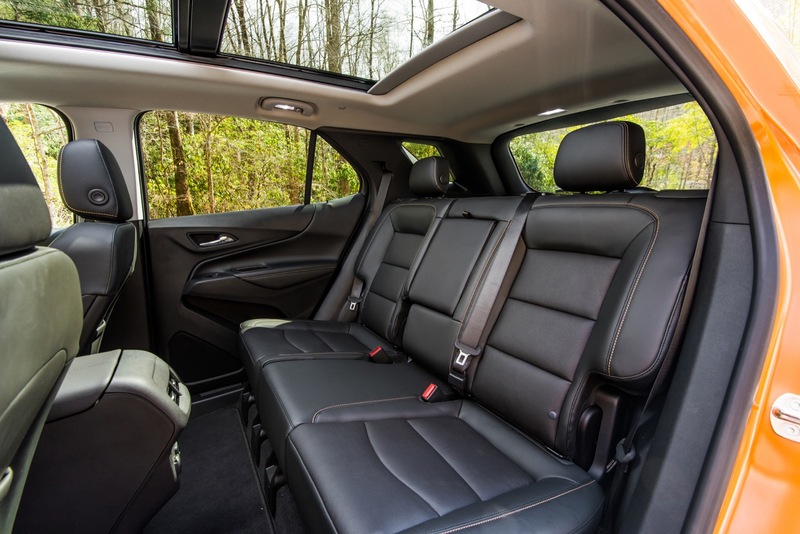 All of the Equinox’s crash-avoiding and passenger-protecting technologies are built into a stronger body structure that incorporates high-strength steel in key areas to help prevent intrusion into the passenger compartment. 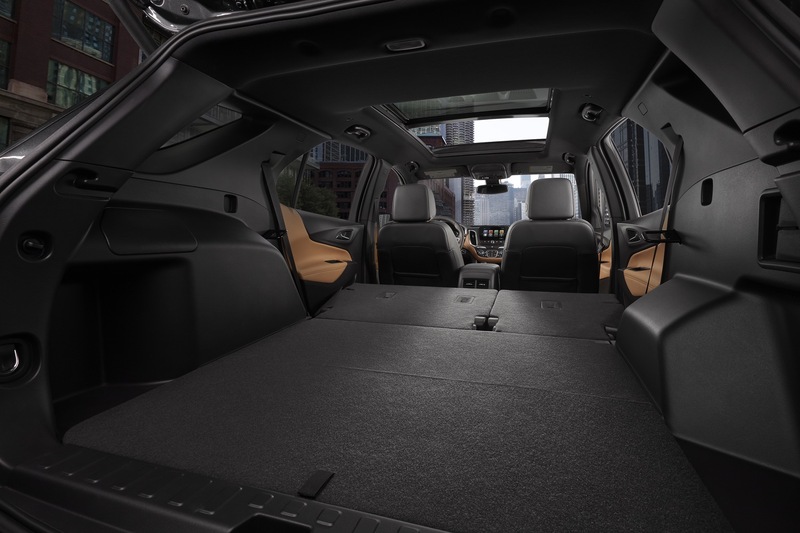 The 2018 Chevy Equinox sheds 400 pounds from its predecessor while manageing 63.5 cubic-feet of cargo area. 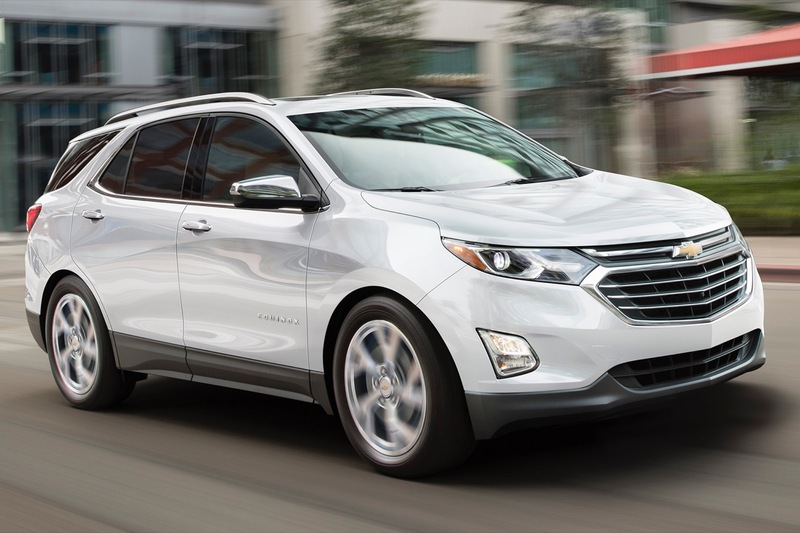 Currently, performance figures for the 2018 Chevy Equinox are not available. 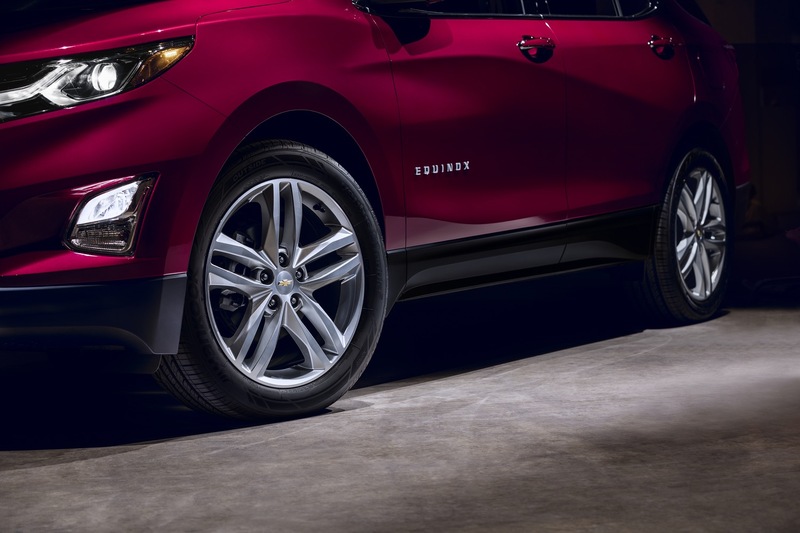 However, Chevrolet states that the vehicle offers a 3,500-pound (1,585 kg) max trailering capacity that is equal to the second-generation’s capacity with the available V-6 engine. 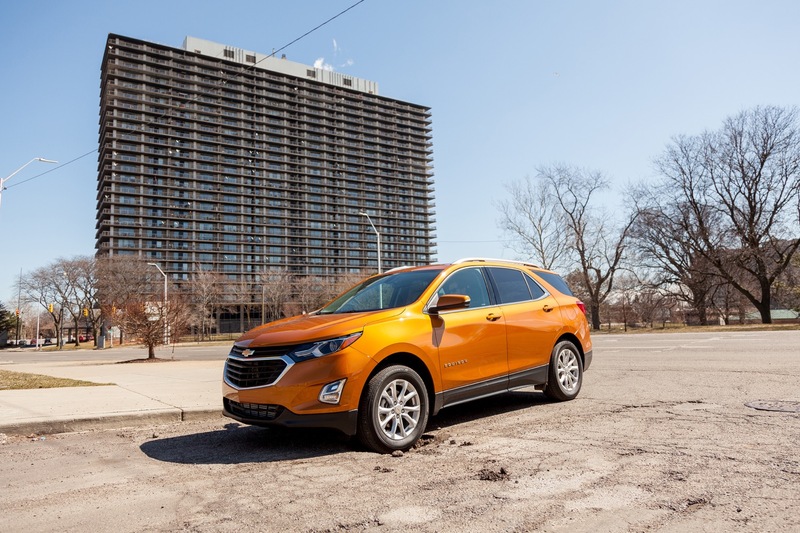 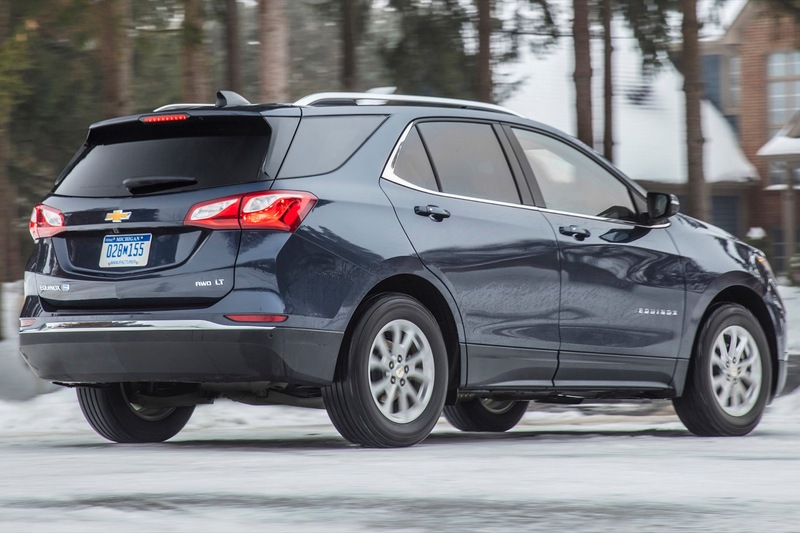 The third-generation Chevrolet Equinox is slightly smaller and 400 pounds lighter than the second-generation model it replaced. 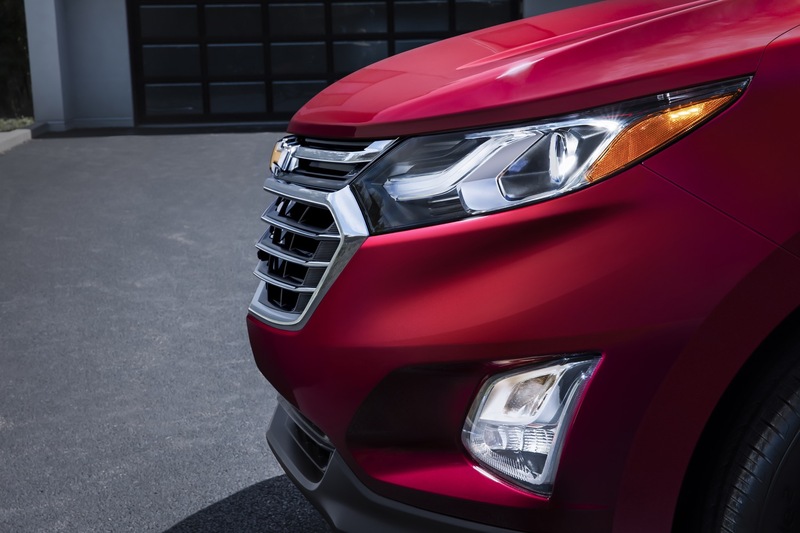 We will provide more specific details on the differences of the third- and second-gen Equinox when more information become available. 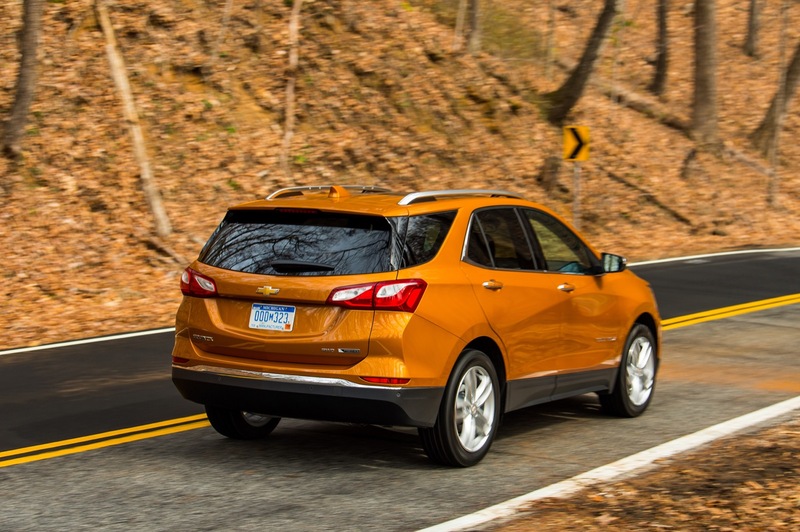 The 2018 Chevy Equinox will carry a starting price of $24,475, which includes destination, but not taxes and other dealer fees. 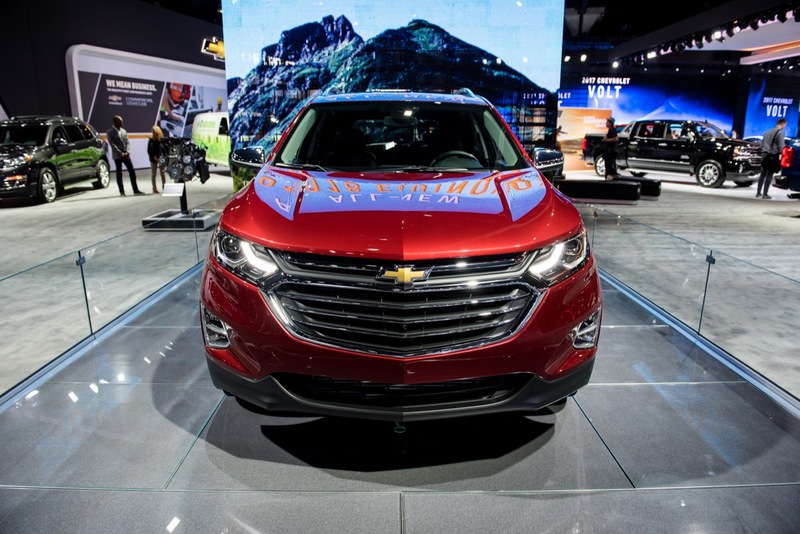 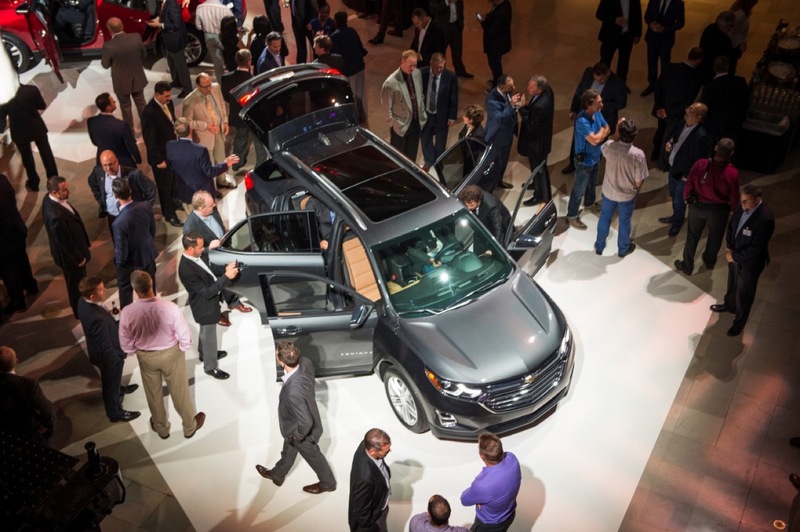 The 2018 Chevrolet Equinox was unveiled on September 22nd, 2016 at a special event in Chicago. 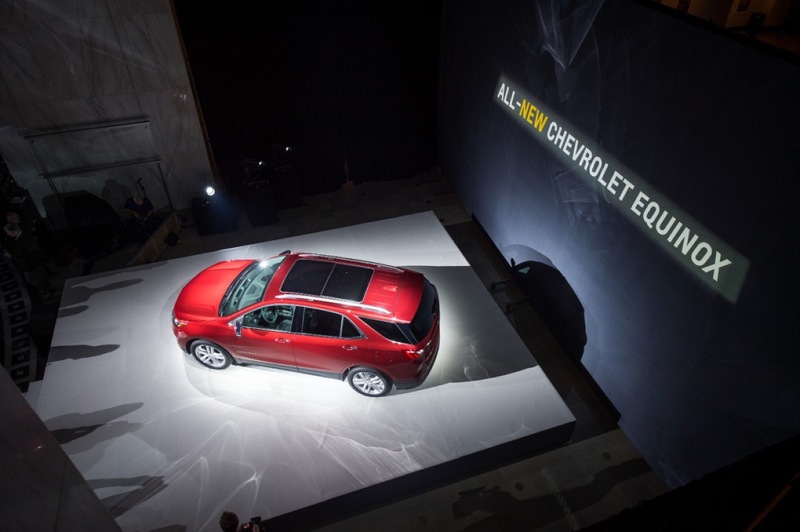 The event coincided with the autumnal Equinox. 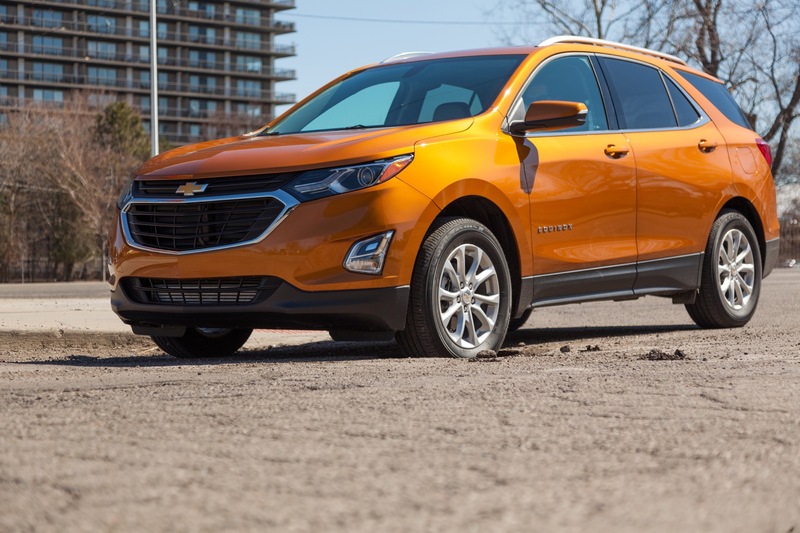 For North American markets, the 2019 Chevy Equinox is assembled by GM Canada at the GM CAMI factory in Ontario. 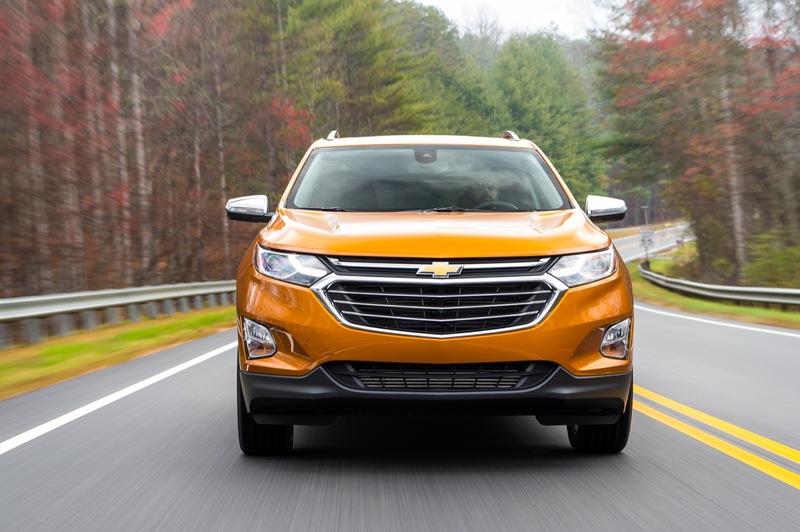 In international markets, it’s possible that the 2018 Equinox will replace the Chevrolet Captiva. 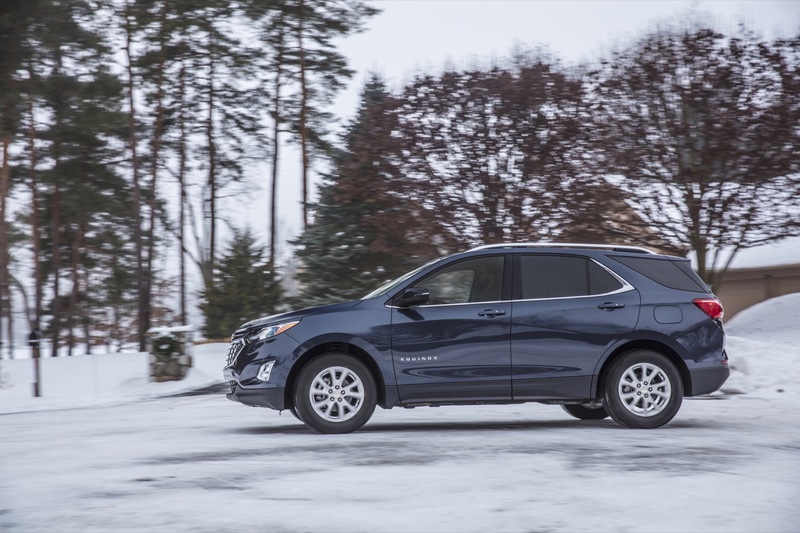 In the United States, the 2018 Chevrolet Equinox goes on sale in the spring of 2017 with the 1.5L LFV gasoline engine. 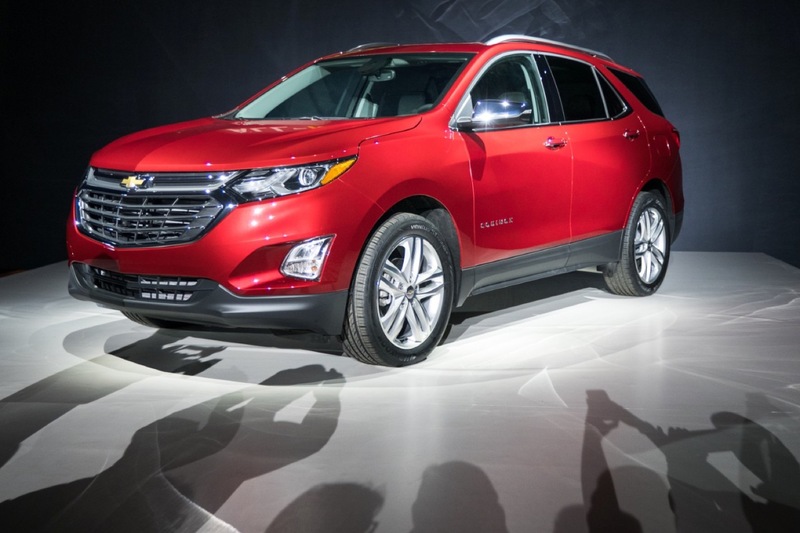 Models with the 2.0L turbo gasoline engine and 1.6L turbo-diesel will go on sale in the summer 2017. 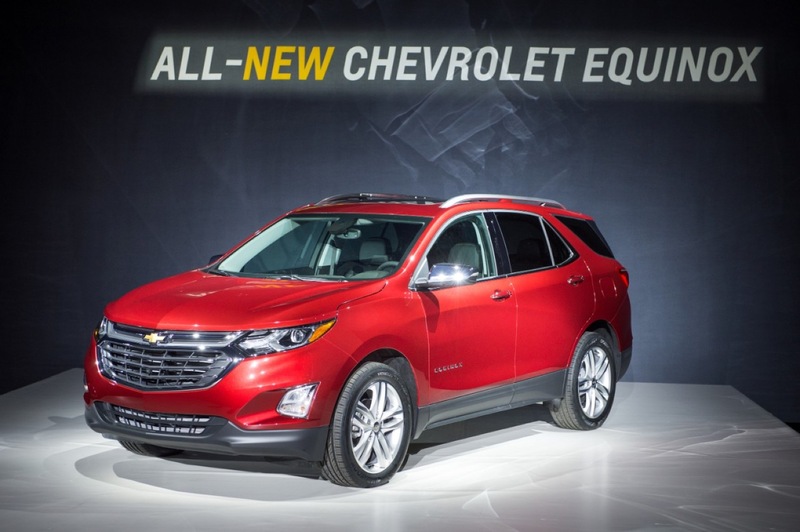 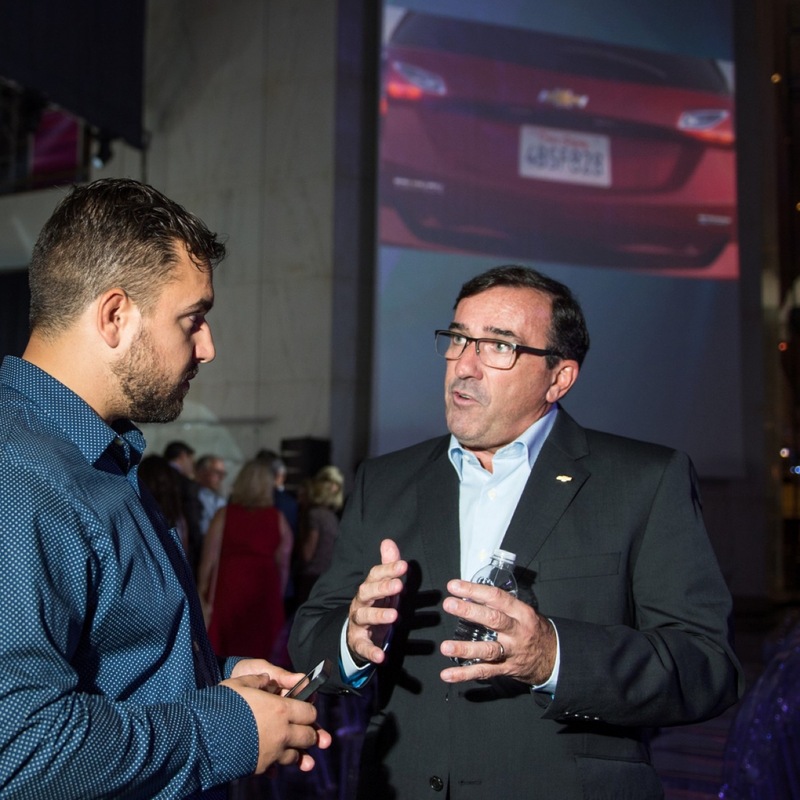 Rollout in other markets where GM sells Chevrolet vehicles will follow. 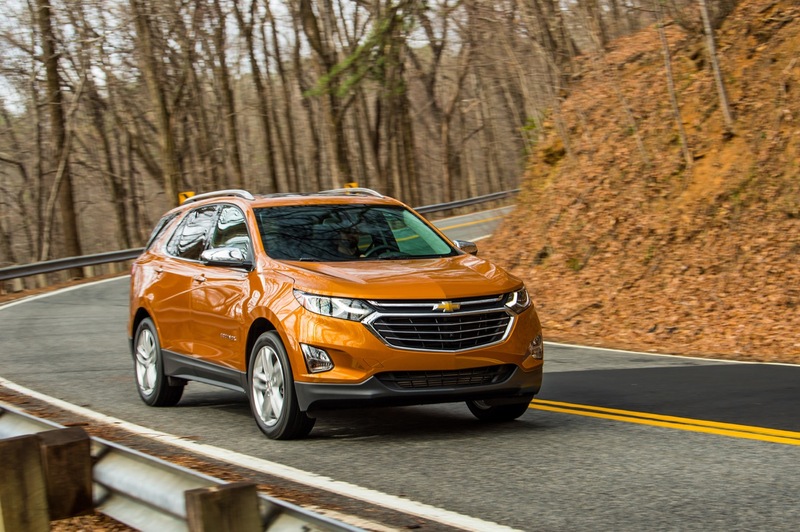 We expect the 2018 Chevrolet Equinox to also serve as the replacement for the Chevrolet Captiva, Chevrolet Captiva 5, Chevrolet Captiva Sport, and Holden Captiva/Captiva 5 in those markets where those vehicle have historically been available. 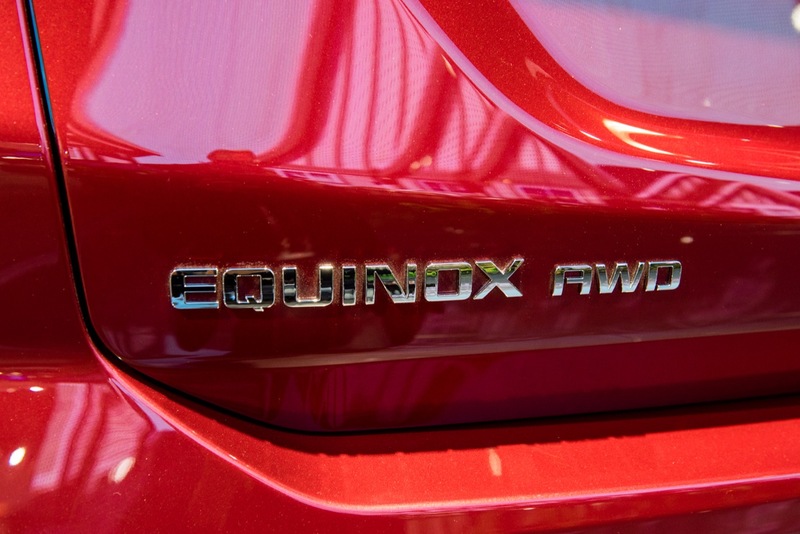 Whether or not the Captiva name will be replaced by Equinox is unknown as this point. 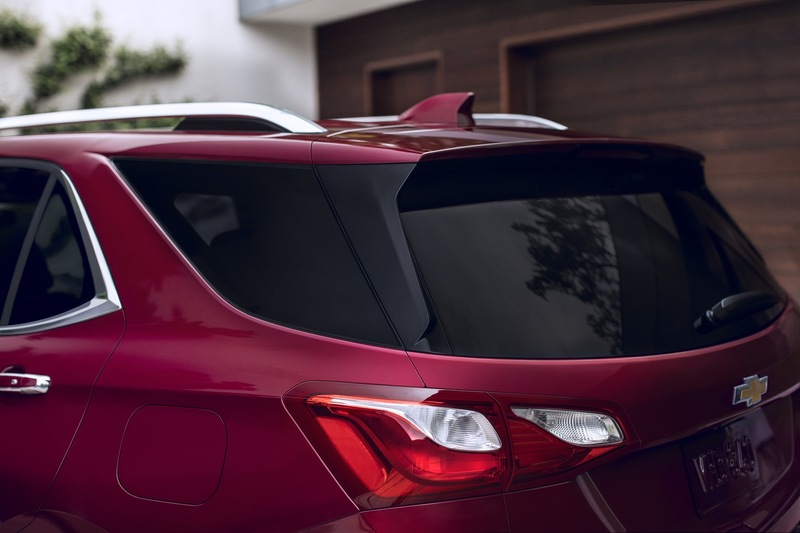 We will update this section when we know more. 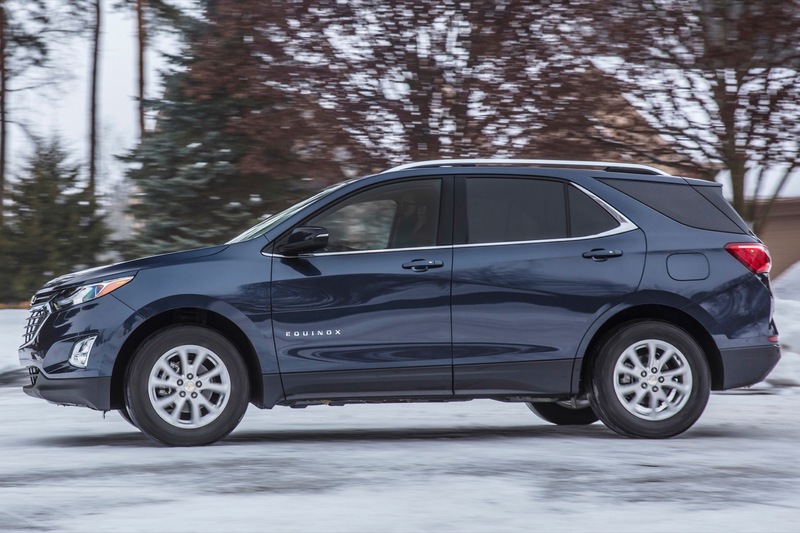 2018 Chevrolet Equinox specifications are currently not available. 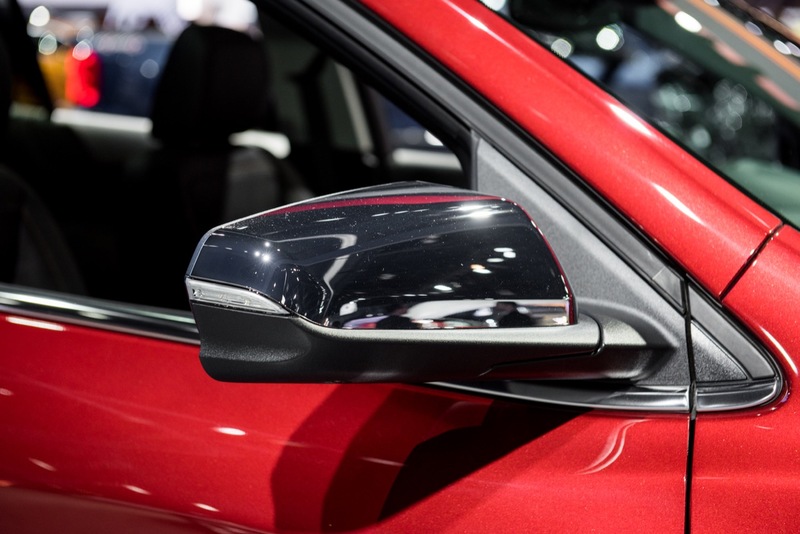 We will update this section when we know more.